Updated at 12 p.m. Wednesday to reflect billing adjustments. Winooski residents are becoming all too familiar with the sound of running water. On Thursday, city officials asked everyone to keep a faucet running 24-7 to prevent the city's water pipes from freezing. Some residents might be asked to keep the water running into April, city officials say. In recent weeks, city hall received a burst of notices about pipes freezing and residents being stuck without water. At the peak of the crisis, 23 of the 1,700 properties connected to the city's water system were without water, city manager Katherine Decarreau said. The reason for the problems is the snot-freezing, car-battery-destroying, soul-numbing temperatures that are assaulting Vermont this winter. Most water pipes in Winooski are buried five feet underground, Decarreau said. But, for the first time anyone can remember, the frost in Winooski has reached that depth, if not farther. "I have people here 30 years who haven't seen five feet of frost," Decarreau said. "That's a lot of frost." In response, Winooski officials have urged everyone to keep a "pencil-width" stream of water running constantly to keep enough water flowing through the city's water system. Decarreau said that a pencil-width stream generates about five gallons of water an hour, or, according to the Seven Days math department,120 gallons a day. For comparison, the average hot tub holds about 400 to 500 gallons of water; an Olympic-size swimming pool holds 660,000 gallons. "I hate running it, too, but it's not like we're in Tucson, [Ariz.,] where most of the water you're running is evaporating in a holding pond," Decarreau said. "We're not degrading the supply of water." More difficult to measure is the level of annoyance residents are feeling about listening to water trickling around the clock. Most homeowners and businesses have complied with City Hall's advice, Decarreau said. 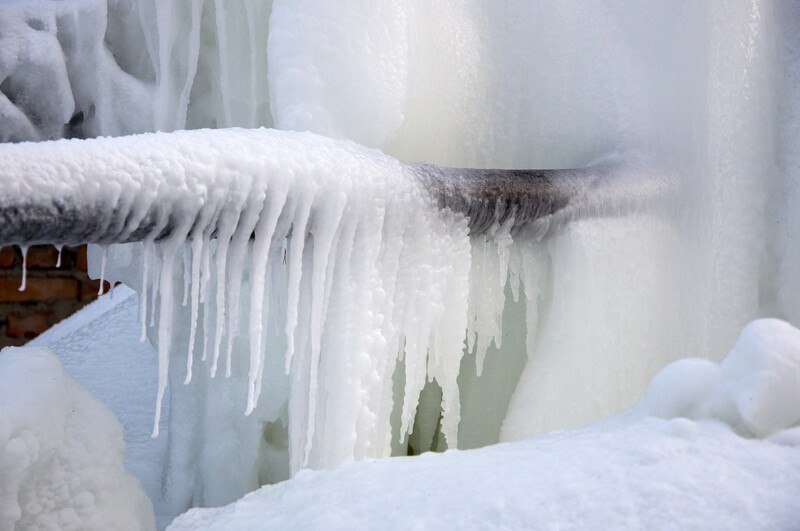 Over the weekend, a couple new cases of frozen pipes were reported from residents who had been out of town and unable to turn the water on after the city released its request. Decarreau said residents connected to larger pipes buried deeper than five feet might be able to shut off their water before April. They will be notified by city officials. The city says residents will not be on the hook for higher water bills. The city will base bills in the coming weeks on usage levels from last year, Decarreau said. There haven't been reports of homes flooding or other problems as a result of the water running constantly, Decarreau said. While no other community has taken such drastic action as Winooski has, others are suffering from frozen pipes, too. Montpelier urged residents who live in old homes, or homes with a history of frozen pipes, to keep the water running, and Milton and Fair Haven have issued similar warnings. In St. Albans today, residents were told to boil their water after two water mains broke. In Burlington, public works director Chapin Spencer said crews were responding to a couple homes with frozen pipes a day. And the department sent notices to a handful of homes that lost water service during a deep freeze in 1994, recommending that they keep the water running. But the Queen City sees no need to ask residents to keep the water running, Spencer said. "Our system is functioning in very challenging circumstances," Spencer said.